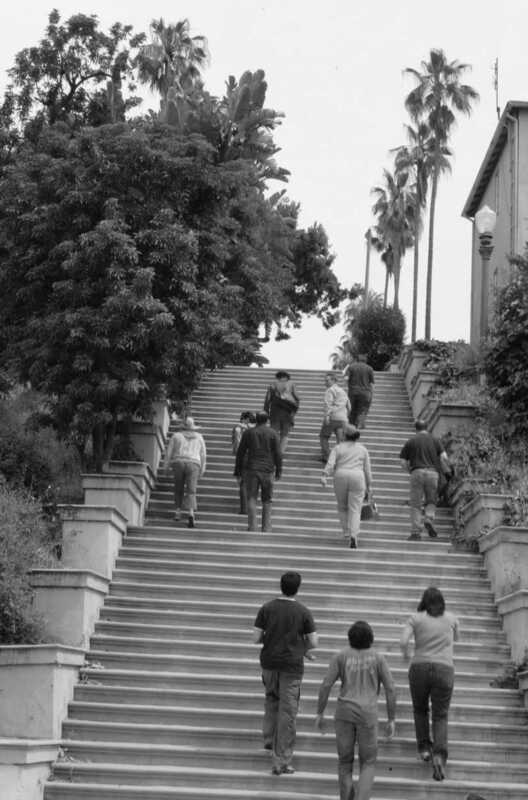 "Los Angeles is Slake’s city, but Echo Park is our neighborhood," reads the entry at Slake.la, the literary journal for Los Angeles. They've only had one Issue 2, but already we wonder how we ever got this far without. Where have you been all my life Slake? Saturday, February 19 at 7:30 p.m.
Los Angeles is proud to welcome one-time Angeleno Fred Worden with the first of two programs of his work in film and digital video, spanning four decades of moving image making. Calling all interested adults (ages 20+) looking to learn the beauty and grace of digital editing! All equipment and materials provided by EPFC. Instructor: Will O’Loughlen. Class held at the EPFC Analog Annex; limited to 10 students; tuition is $60/$50 members. The video, produced by Simon and Shuster and released yesterday on YouTube, unveils the new cover for the acclaimed novel about growing up and living in Echo Park. Collaborators for fifteen years, experimental filmmakers Tony Gault and Elizabeth Henry screen a body of work that examines the human impulse toward dualism and narcissistic command of the planet Earth. The 704; Wasting Time at Rock Shows reviews the new venue everyone it talking about in LA - Echo Park's Lot 1 cafet. Lot 1 Cafe - a founding member of EchoParkOnline.com - has gotten quite a following since the restaurant and bar traded in its knick knacks for a stage. Today - SATURDAY - all day music at the Echo Country Outpost! Yee haw! Sadly Echo Park Cycles announced they will close Feb. 10. Until then they'll be having a closeout sale of 50% off everything.